Have you thought about getting a brighter, more attractive smile but don’t know how or where to start? Today's cosmetic dentistry techniques provide more options than ever to help you get the smile that you’ve always wanted. Dr. Sapienza will be glad to explain to you the various types of cosmetic dental treatment that are available today. 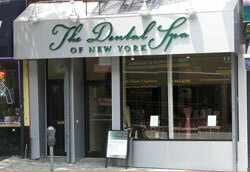 Please call our Park Slope dental office to make your free, no-obligation consultation appointment.